Crystal Jade Korean Ginseng Chicken & BBQ Restaurant Moves To Takashimaya Basement ~ New Location! New Dishes! With 22 concepts of over 130 outlets in 21 major cities in Asia Pacific Region, United States and just about everywhere in Singapore, most of us would perhaps have dine in at least one of Crystal Jade's popular chain of restaurants at some point or another. The spotlight recently fell on Crystal Jade Korean Ginseng Chicken & BBQ Restaurant, as it celebrates their 10th anniversary with the relocation from level 4 of Takashimaya Shopping Centre to a prime location next to the basement atrium area, and an expanded line-up of home-styled Korean food. Immanuel French Kitchen @ Bukit Merah ~ Enjoy French Food In A Coffeeshop! I was at Two Wings, enjoying one of the best chicken wings in Singapore when my attention momentarily drifted to another stall located at corner of the same Salute coffeeshop at Bukit Merah. The signage says "Immanuel French Kitchen", and instantaneously brought to my mind Saveur which planted their roots from a humble stall setting too, serving up French cuisine at affordable prices. There was this tall lad diligently at work, he is none other than the chef owner himself, Immanuel Tee. Remember those early school days when one of the most common essay topic was "What do you want to be when you grow up?". So I wrote about some politically acceptable professions, but secretly, what I really wanna be is a... tai tai (wealthy lady of leisure)! Come on, which girl wouldn't dream of spending days not slaving away at a workdesk, but indulging in luxury spas or lavish high teas? Fast forward to year 2014: I'm not a tai tai yet, but I imagined myself to be one when I escaped for a few hours from reality into a sumptuous English afternoon tea buffet experience at L'Espresso at Goodwood Park Hotel, Singapore. Ramen lovers, rejoice! Ramen Keisuke Tonkotsu King has just opened its 6th ramen house in Singapore - MATSURI! The culinary creativeness of Chef Keisuke Takeda is seen once again in this latest concept after the success of his earlier outlets - Tonkotsu King (Orchid Hotel), Tori King (100AM), Four Seasons (Bugis Village), Gyoza King (Orchid Hotel) & Keisuke Dining (Suntec City). Those residing in the eastern part of our island would probably be the happiest because Matsuri is situated very near them in Parkway Parade shopping mall. Very far for me, but but but, I will travel anywhere (except climb mountain) for delicious food! We all have our weaknesses for certain food. Mine is chicken wings, my friend's is wanton mee. When he heard that there is this stall called Soi 19 Thai Wanton Mee (十九街雲吞麵) located within an Ang Mo Kio coffeeshop selling noodles which is similar to the popular Sabx2 Pratunum Wanton Noodles in Bangkok, he wasted no time in jio-ing me to try it out together. No website. No facebook page. Only an Instagram account which says "many will seek but not all shall find". 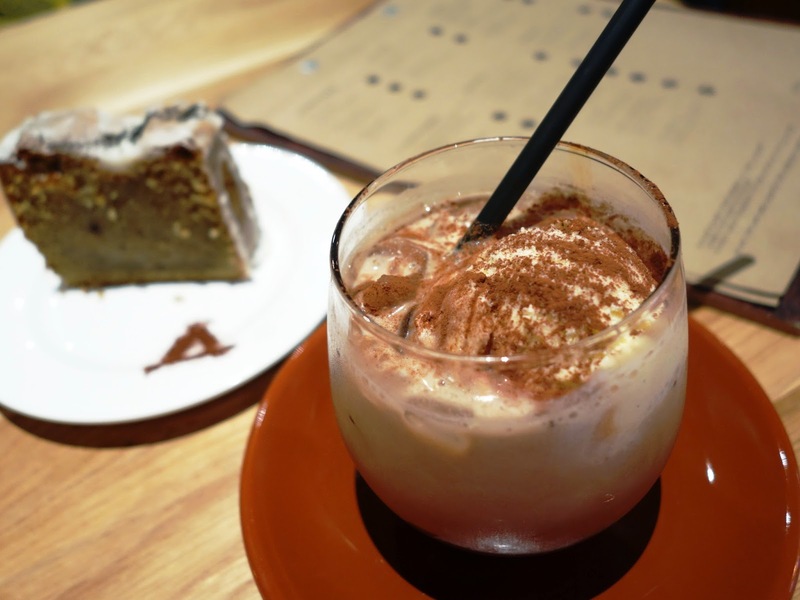 Whale & Cloud could possibly be the most secretive café in Singapore. However, if the place is not without its merits, favorable words will soon find its way around. We soon descended upon the elusive Whale & Cloud one early Saturday morning. The café may be secretive but hey hey, it's a secret no longer! When I first walked passed The Assembly Ground café at The Cathay after an evening of shopping at Orchard Road, I thought it to be a new branch of the popular Assembly Coffee at Evans Road. The confusion was cleared when it was later explained to me that the café is actually an extension of the adjoining The Assembly Store - a men lifestyle store carrying labels such as Benjamin Barker. I've since went back to the café a couple of times, drawn by its great ambience and good coffee. Definitely a place that is worth return visits. It's kinda rare to see level 5 of Orchard Central buzzing with a healthy crowd. We were all there for something which is not so healthy to our waistlines, but fulfilled our need for a mid-afternoon snack. I'm talking about Spanish Doughnuts, The Original Churros from Melbourne which recently made its foray into Singapore. Their churros are reputed to be highly popular for their freshly-fried deliciousness! Thai Village Restaurant @ Singapore Indoor Stadium ~ The Place To Go For Crab Vermicelli! It has been many many years since I had a meal at Thai Village Restaurant, and the food is still as good! Thai Village Restaurant (泰国村酒楼) is no stranger to the local culinary scene, having served consistently good quality Thai-Teochew Cuisine in Singapore for the last two decades since 1991. 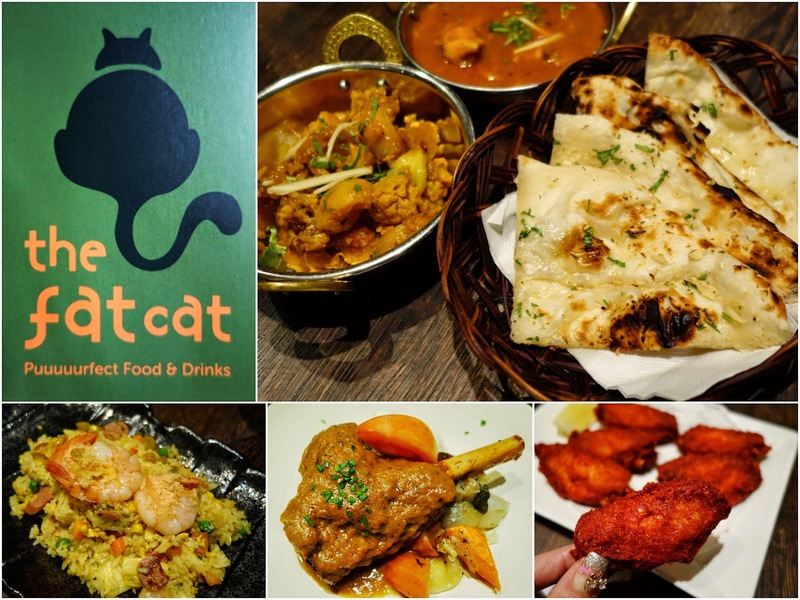 The move from their old premises at Kallang Leisure Park saw them now helming a simply decorated yet elegant space at Singapore Indoor Stadium, with much of the regulars still following them faithfully for their many tried and trusted delicious dishes. Besides the 3 outlets in Singapore (Indoor Stadium, Goodwood Park Hotel and Jurong), their presence is also successfully established overseas in China, Vietnam and Indonesia. 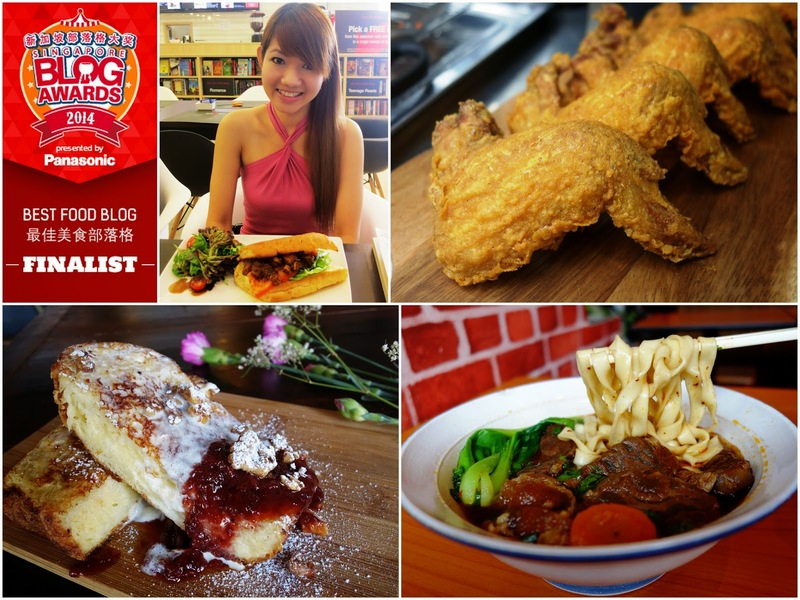 PinkyPiggu is a finalist for Singapore Blog Awards 2014 ~ BEST FOOD BLOG! Organised by omy.sg, Singapore Press Holdings' leading bilingual news and entertainment portal, the Singapore Blog Awards honour independent content producers who create and curate content that make for fun, informative, and insightful reads (source: Singapore Blog Awards 2014). PinkyPiggu couldn't be more happy than to be a finalist for Singapore Blog Awards 2014 ~ BEST FOOD BLOG! While I still haven't got over the exhilaration of the superbly delicious dining experience at Kimchi Korean Restaurant in Suntec City Mall, the boss Haden Hee (whom fellow blogger, Nat, described as devastatingly handsome) already has another ingenious idea up his sleeve. Said to be do-it-yourself (DIY) bibimbap in Singaporean way, it could very well revolutionize the way we've always enjoyed Korean food. Good things are meant to be shared: Find it at Kimchi Xpress within the Food Republic foodcourt at Shaw House (Lido Orchard).